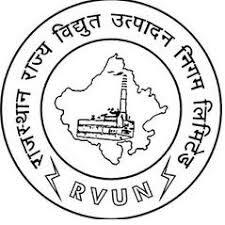 JVVNL Technical Helper Admit Card 2018: 2433 Technical Helper Exam Date 2018 / Download Rajasthan Jaipur Vidyut Vitran Nigam Technical Helper Recruitment Exam Call Letter 2018. Jaipur Vidyut Vitaran Nigam Limited Technical Helper written test round is going to be conducted from 23rd to 29th august 2018. Applicants who have already applied for JJVNL Technical Helper posts can get the admit cards/hall tickets by visiting the official website, energy.rajasthan.gov.in. Hopefuls can check the examination date, timings, and examination venue details from their respective hall tickets. Candidates competing for Technical Helper posts in Jaipur have to carry the admit cards as a must to attend the examination. The examination officers will let the candidates attend the test only after verifying their admit cards. Hence the hopefuls must be prepared to attend the test by downloading the hall tickets. Aspirants must initially download the hall tickets before the examination and keep them safe to proceed with the examination. More details about JVVNL Technical Helper Admit Card 2018 are mentioned in this article for reference of the aspirants. The examination will be held in many places across Jaipur. Candidates can know their exam center by downloading the hall ticket. The information regarding the examination venue, date, and timings will be given on hall ticket. Along with the exam venue details, candidate’s name, signature, photograph and other identification details will be printed on the hall ticket. Aspirants proceeding to attempt the written test can check all the details once soon after downloading the hall ticket. Report to JVVNL for any correction in any columns. The helpline numbers, email ids, will be accessible on JVVNL official website, energy.rajasthan.gov.in. The hall ticket will also be accessible on the same portal. So, aspirants competing for the Jaipur TH posts can download and preserve the admit cards beforehand to appear for the test. Latest Update: JVVNL ​​​​2018 Admit Cards released for the post of Technical Helper. The exam Will be Conducts from 23rd to 29th August 2018. Search the JVVNL Technical Helper Hall Ticket download link in organization website. Check the information in JVVNL Technical Helper Hall Ticket 2018.